It looks like we’re going to splash through April to May. 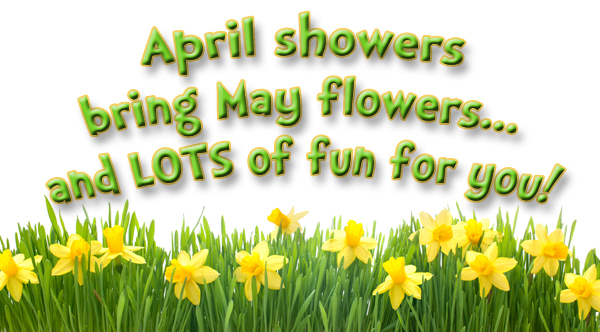 We’re looking forward to seeing beautiful flowers and YOU for all the great Learning Tree events we have coming up! 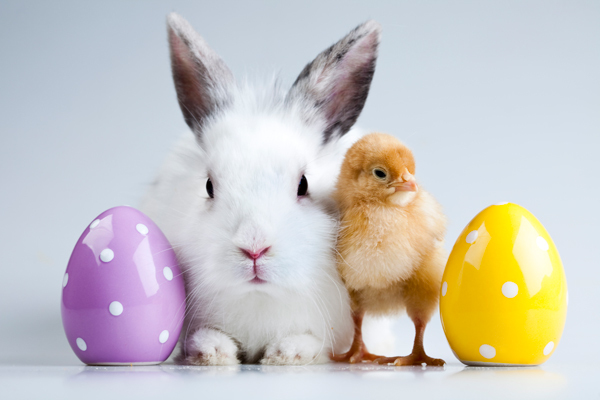 Before we get there, we’re still thinking Easter, and we have bunches of great basket ideas to go with it. We’ve got colorful, plush bunnies of all sizes, like this cute bashful indigo bunny, or why not tuck in some sidewalk chalk or bubbles for outdoor fun? Choose a game or a book to personalize a basket with any theme. May starts with National Children’s Book Week and the St. Luke’s South fundraiser, Books and Boutiques. 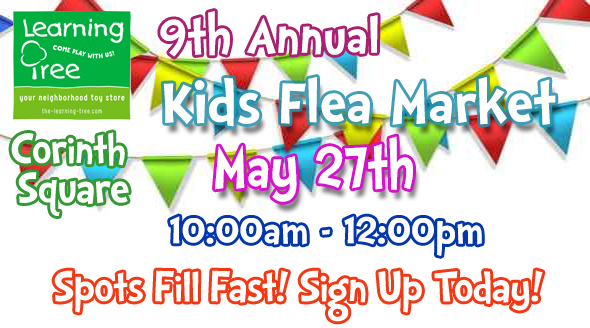 The month finishes with our 9th Annual Kid’s Flea Market on May 27th. Read all about it here! 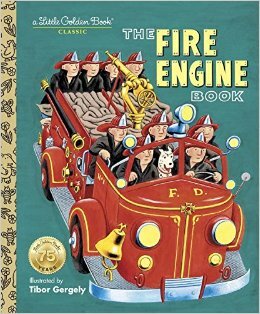 May 1 – 7 is National Children’s Book Week and we’re celebrating with special police officer and firefighter Storytime guests! 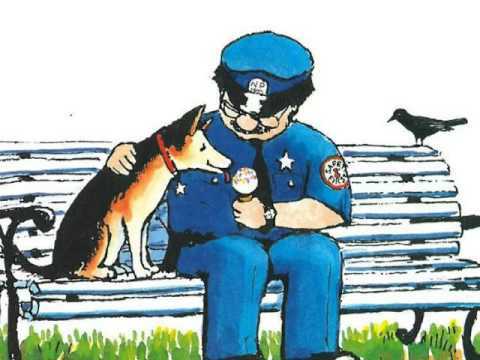 Join us for one of these extra special NCBW Storytimes or show off your reading skills, Saturday the 6th, and sign up to read with one of our guest officers from the Prairie Village Police Department at Corinth Learning Tree when they are back for this final NCBW event. We’ll be serving doughnuts! Come in and vote for your favorite children’s book all week and be sure to enter our book give-a-way raffle. Come celebrate books and reading with us at the Learning Tree. Don’t forget to come see your friends from the Learning Tree at the St. Luke’s South fundraiser, Books and Boutiques and be sure to sign up for our 9th Annual Kid’s Flea Market at the end of the month. Read on for all the dates and details! 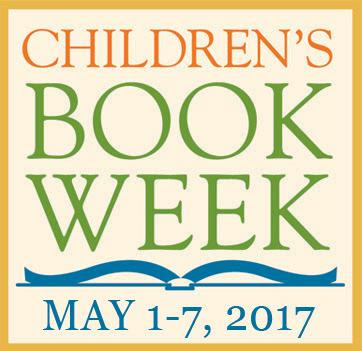 Children’s Book Week SIGN UP EVENT! Readers, bring your favorite book or choose one from our book pile. As you arrive, you will be given a number for your turn to read. Enjoy donuts and event activities while you wait! 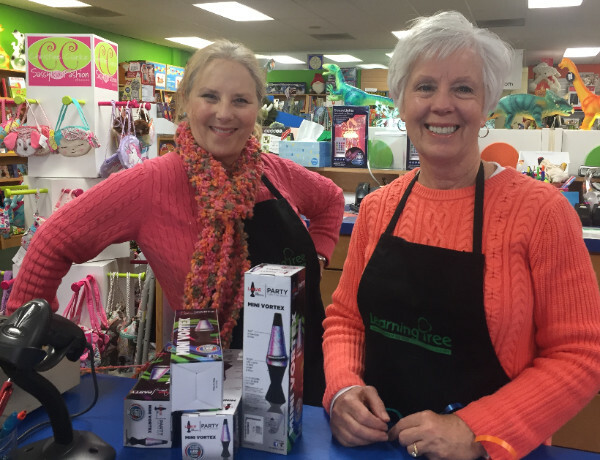 Come work with us at the Learning Tree! We’ve started scouting out candidates for spring and summer positions at the Learning Tree. Do you know someone who would be a great addition to our team? We are always looking for enthusiastic candidates to join our talented retail staff of toy and playtime experts. We’re currently interviewing for seasonal, full, and part-time openings.